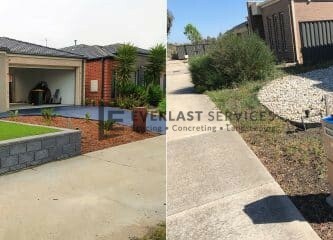 For our client in Roxburgh Park, we knew that we would have to pull out all the stops to rejuvenate this yard. The result? A beautiful, stylish and modern lounge area that will accompany their home for years to come. Before we got started, this backyard was like many in Victoria. Not terrible, and certainly not beyond saving. But it was littered with rogue, stubborn weeds and lacking in a vision or purpose. Everlast lives for these sorts of challenges. 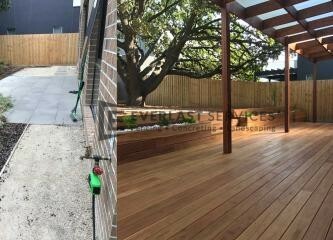 We get to do a bit of everything, from landscaping, to courtyard design and construction. Everlast always starts with the basics. 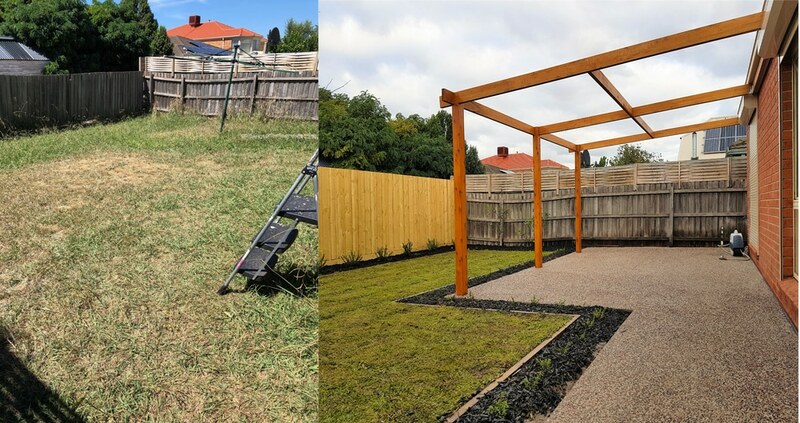 We consulted with the client and advised on some simple fixes that add depth, texture and colour to any yard; things like edging, exposed aggregate concrete pavements and one of our specialties, an overhead pergola. Pergolas are a simple addition, which bring a delightfully modern aesthetic to any outdoor area by introducing light and space. The exposed aggregate also adds a beautiful, practical finish that gives the clients much more freedom with furnishing their yard. This was a complete overhaul of the entire area. 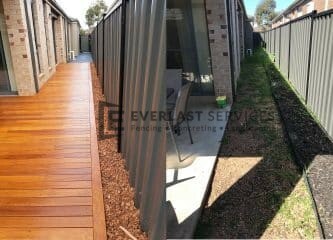 Luckily, Everlast’s talented landscaping team were up to the task, and have provided a luxurious outdoor space that functions as an extension of the home. 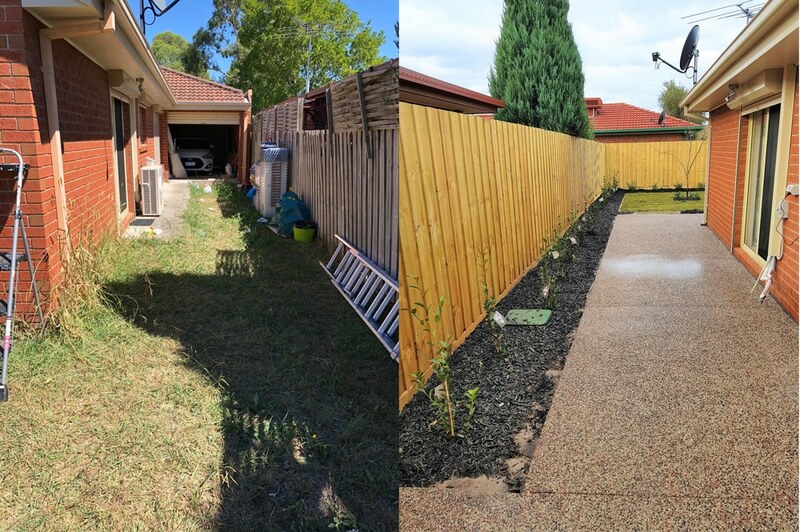 Renovations like these can have extraordinary returns on a properties’ value, and so we only use the most durable and reliable materials around, always sourced from local Victorian businesses at cut-price rates. The client still wanted to keep a lawn, so we worked to maximise lawn space whilst keeping a consistent aesthetic vision. We installed a beautiful turf to bring out the best in the garden beds that lined the perimeter, resulting in a low-maintenance but visually stunning back lawn. This lawn will keep performing exceptionally for years to come, usable for any entertaining, relaxing or playing. The Everlast guarantee of quality is visible in every project we’re attached to. No matter what you’re looking to accomplish with your property, our team of expert landscapers, carpenters and concreters can help.